The directorial debut of Huang Xi, Missing Johnny is a relationship drama that unravels the empty spaces in modern relationships, living amidst the rush of an urban city. While it is incredibly hard to find love, it is even harder to sustain it in the chaos of an urban city. The directorial debut of Taiwanese filmmaker, Huang Xi , who worked for years under one of Taiwan’s foremost directors, Hou Hsiao-hsien, Missing Johnny is a mood piece, unfolding the story of three individuals living amidst the chaos of the urban jungle of Taipei. These three souls, all connected to one apartment, cross each other’s paths in the pursuit of finding love and happiness. Hsu Zi-qi, the female protagonist, who raises parrots in her apartment and works at a backpacker hostel, keeps getting wrong phone calls for someone named Johnny. Calls from Johnny’s family, his friends, colleagues wishing him a happy birthday but she has no idea who that is. Her character is refreshingly written to a believable reality of an urban young woman, who easily switches between English, Mandarin, and Cantonese depending on the situation and only dresses in a Western outfit. Lee, the autistic son of Hsu’s landlady, reads old newspapers every day and wanders around. Handyman Feng, who works odd jobs around the apartment, feels disheartened and frustrated when his beloved car breaks down. These three lives intertwine when one of Hsu’s parrots escapes one day. Johnny is missing, but he’s hardly the only one lost in the urban jungle of Taipei. Although it seems that the title of the film is a McGuffin with no clear objective other than to advance the story for the viewers but it cleverly serves a dual function as a reminder for the protagonist to slow down, acting as an interruption from the frustrations and loneliness. Set in the rush of the city, Missing Johnny urges to breathe and stand still against the speed of the metros, the bridges covered by a sea of cars, the constant noise of new homes being built and new faces moving into the city. Huang slowly draws these lives together with bits and pieces of information of their past being disclosed to the very end of the film. This slow pace, which although harmonizes with the overall message of the film, might feel like a bit of a drag to certain viewers. However, more than the pace, it is the missing chunks of explanations about the characters’ lives that can be frustrating and honestly lead to some confusion or a sense of being lost. For instance, Hsu is in a distressed relationship with her partner who is a married man and her own unexplained past of having a 7-year-old daughter is unveiled but we do not get to dive into these back stories. These really important aspects are merely mentioned which shape the characters’ lives and influences their actions. With Lee floating in and out of the picture at very well judged intervals, trying to navigate his life away from his overly protective mother, shy guy Feng and the more outgoing Hsu begin to talk. The longing of love and lack of happiness in their individual lives, bring these two strangers closer to each other in an intimate ‘less said, more felt’ kind of way. 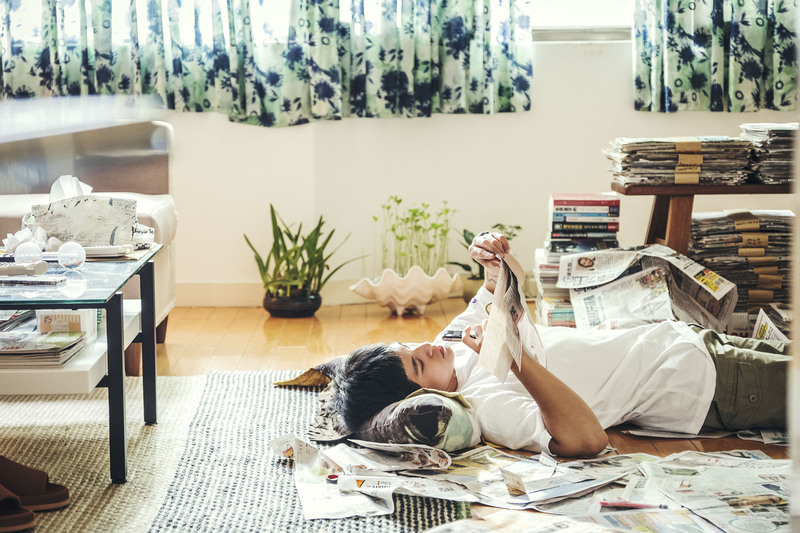 Not exactly romantic, these sweet moments are edited into a narrative that slowly and very surely informs viewers of emotional issues both are facing.Feng shares a brotherly bond with his childhood friend Hao and his father takes a fatherly figure in Feng’s life, giving him solace in their home in Taipei. However, in an heated argument, it is revealed that Hao’s own relationship with his cranky old father is not very functional, which brings a considerable emotional heaviness to the story. It is clear that in Huang’s multi-layered screenplay, the message boils down to love and ties that debilitate over time, if not taken care of. This message is brought to the forefront as the very heart of the screenplay when Feng says, “When people are too close, they forget to love each other”. The scene, where Hsu’s argument with her partner causes her to take her hostage in Feng’s car, followed by the power of silence and an unsaid understanding between the two of them, stands out as a memorable moment. With Feng simply getting into the car and driving away with no questions asked, it is handled with a utmost sensitivity and delicacy. It is also revealed that Lee’s mother’s anxieties towards Lee are due to the death of his brother which makes Lee all the more eager to not hide from it anymore. It may seem that the plot summary is incomplete, but Missing Johnny is not a film which lives on its story, it lives on its characters and the empty spaces and distances created by them. From the lost parrot to the lost son, to the lost partner, to the lost family- everybody is missing and longing for ‘Johnny’ to fill the vast distances between the relationships in the vast city of Taipei, not necessarily looking for a resolution. ‘MISSING JOHNNY’ PREMIERED AT THE NEW YORK ASIAN FILMS FESTIVAL. Big fan of films, reading, writing, jokes and listening to Bo Burnham's 'Art is Dead' and diving into the emptiness it creates thereafter. Also, The Office is my jam and so is ironically using pop culture slangs.